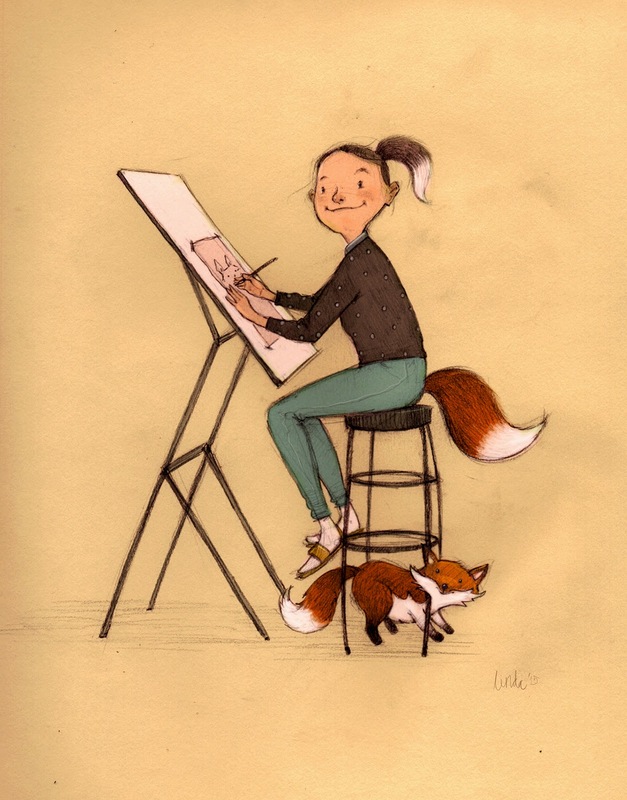 Linda Olafsdottir - Illustration & Fine art: One of the foxes at Red Fox Literary ! One of the foxes at Red Fox Literary ! ... I just signed up with a literary agent, Ms. Abigail Samoun at Red Fox Literary! I met Abi for the first time a few years ago while I lived in San Francisco. And you know the feeling you sometimes get the first time you meet someone and you just know that you'll stay in contact with that person in the future? No matter where you live? That's just what happened when I met Abi. I just knew it. But I didn't know that some seven years later she'd be my agent. I'm so very honoured to be a part of all the talented foxes, authors & illustrators at Red Fox and I'm thrilled to be working with Abi on my future projects. I'm just very grateful, that's it. Yes, it is Friday & it is sunny. Happy weekend my friends!